Above, a Lucite coffee table and acrylic accents in the dining room bring a modern feel to this stunning space by Ashley Darryl. 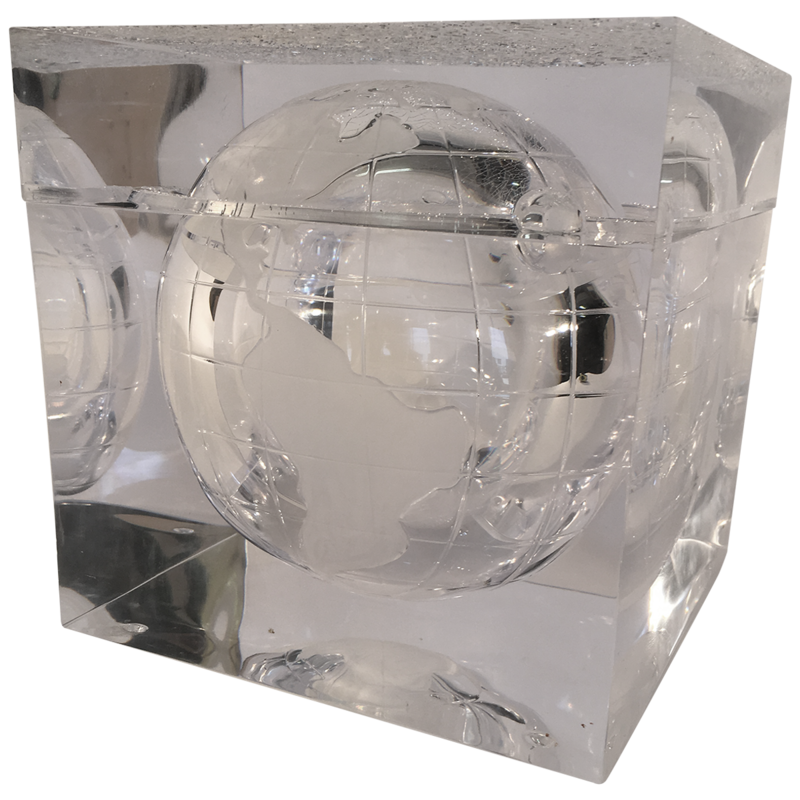 The world is suspended in mid-air in this unique ice bucket, made entirely of crystal-clear acrylic. And what could be better than a bar accessory with a great story behind it? 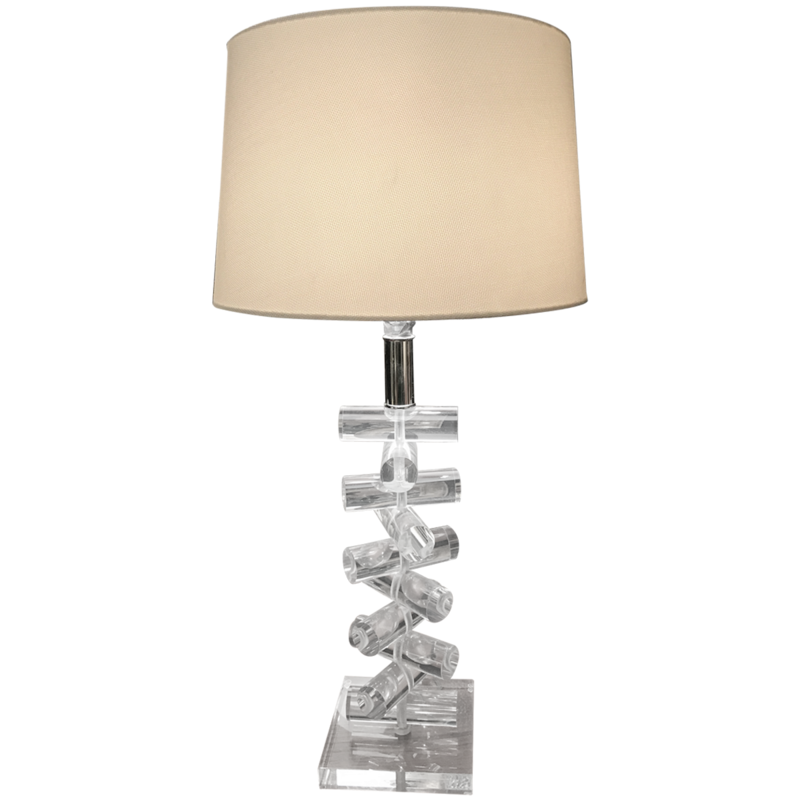 This vintage piece, curated by Jeremie Adkins, comes from the estate of Frank Sinatra, Jr.
You can think of Lucite as the modern answer to crystal. It reflects light beautifully, but without being too precious or appearing too traditional. This fabulous vintage lamp has a stacked form that will introduce an unusual silhouette to your living space. When it comes to Lucite and acrylic furniture, no name is more renowned than that of Charles Hollis Jones. 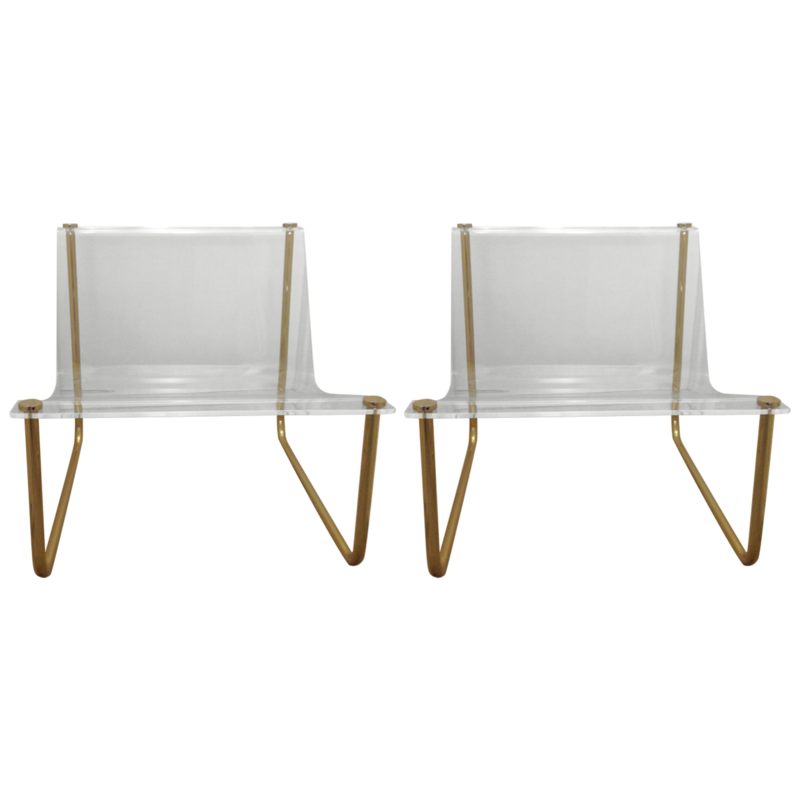 His revolutionary approach to furniture design utilized the clear materials, often accented with brass, as in these accent chairs. Though they were designed in 1978, their design has proven to be timeless. 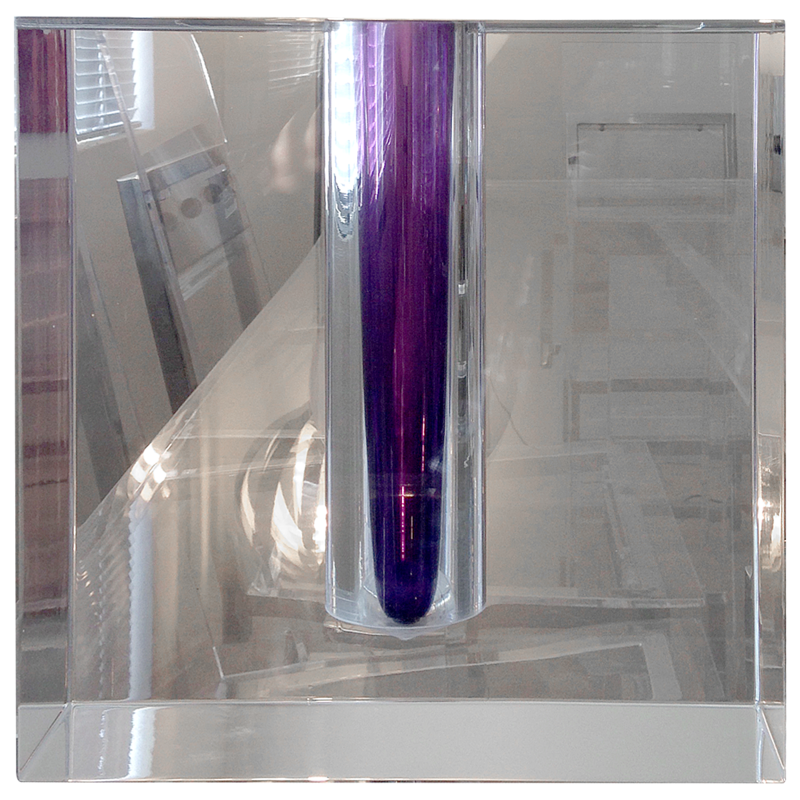 Another incredible work by the master of Lucite, Charles Hollis Jones, this vase is a functional work of art. It comes with interchangeable, richly hued glass liners (cobalt, amethyst, emerald, yellow, and pink) that allow you to change the color of the piece to fit your mood. 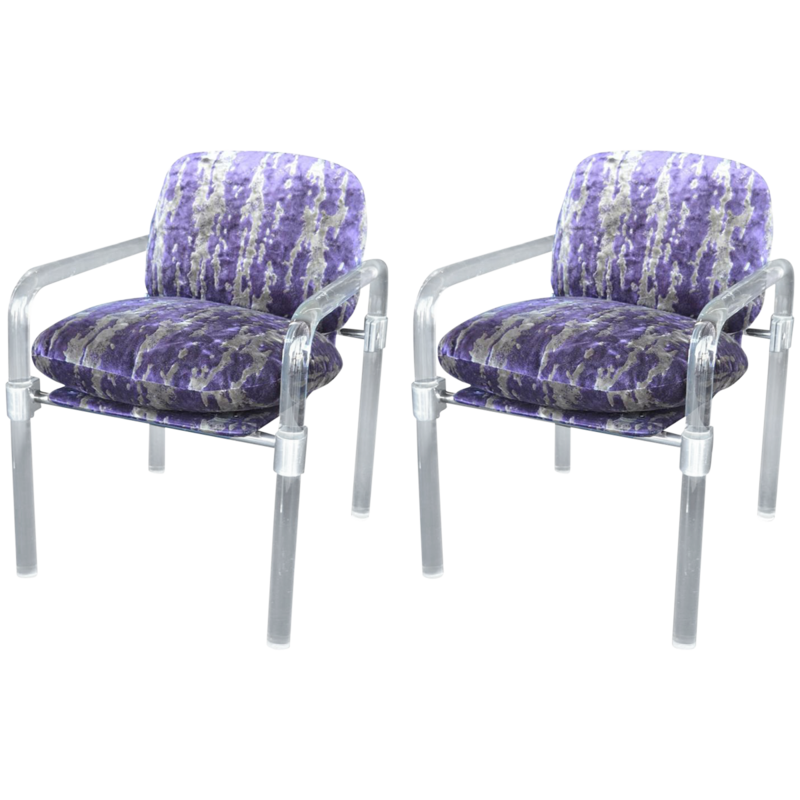 Lucite frames shift the focus to the dazzling purple and gold upholstery that covers the cushions in these modern accent chairs. The pair, which was signed by the designer, dates back to the 1970s. They bring a unique glimpse of color, dimension, and form to a living room. 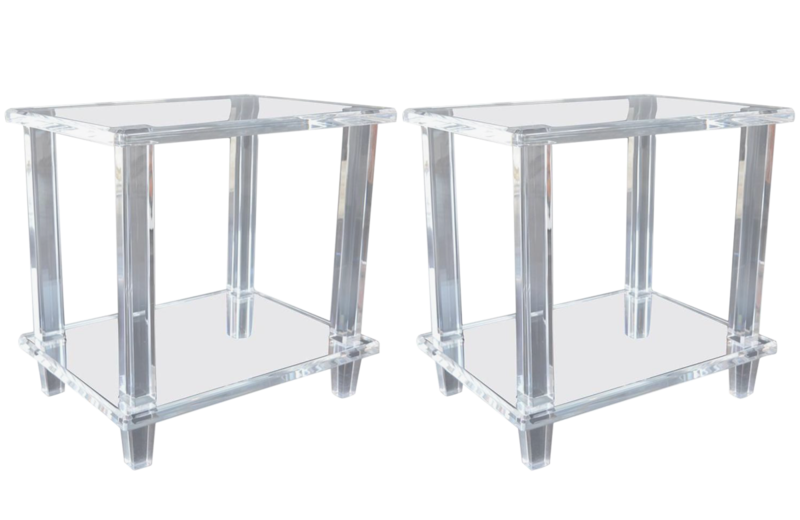 Mirrored tops and a Lucite form shift the focus to the sleek silhouettes of these circa 1970s tables. These versatile accent tables are the perfect complement to mid-century or contemporary décor schemes, especially when paired with similarly clean-lined pieces. Lucite takes color beautifully â€” the thicker material brings a rich depth that you don’t usually get with glass. 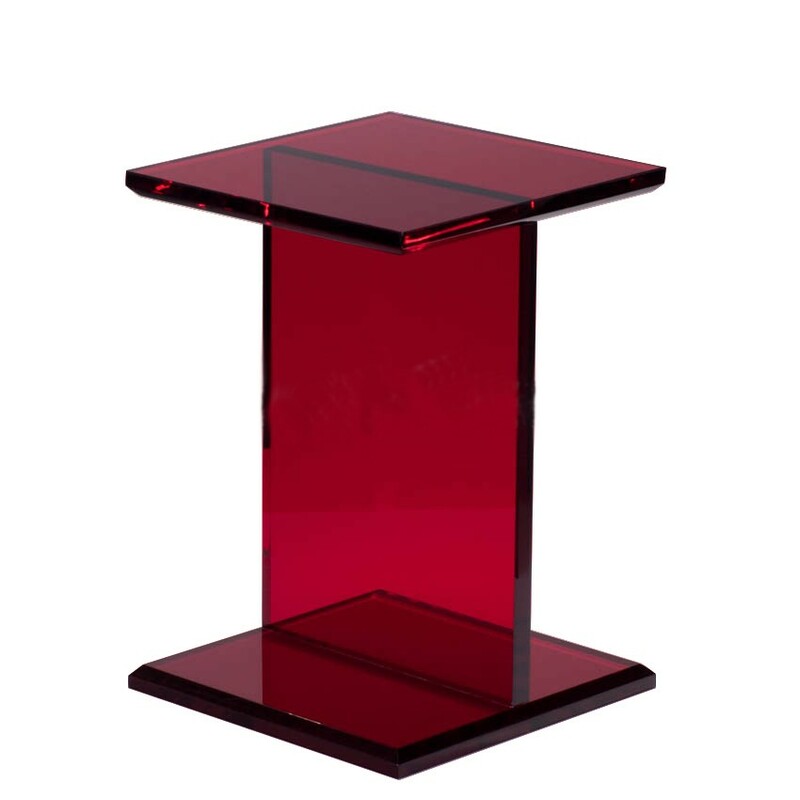 This ruby red table is crafted from 1â€-thick acrylic, giving it a standout quality despite its smaller size. It can be used as a pedestal table to highlight a sculpture or other objet d’art, or a cocktail table that complements any accent chair (we like to imagine this piece paired with richÂ velvet upholstery for textural contrast). Even just a hint of Lucite is enough to make a statement. Here, tapered legs in clear acrylic bring a weightless quality (and modern feel) to the deep tufted cream chaise by Erinn V.